Twenty six years ago — on September 21, 1991 — the people of Armenia voted to proclaim independence from the Soviet Union and make their country a self-governing nation. Though challenging at first, the courageous move toward independence has led to much progress in Armenia, including the state of medical care in the country. The Armenian EyeCare Project is proud to have been involved in this evolution from the very beginning. 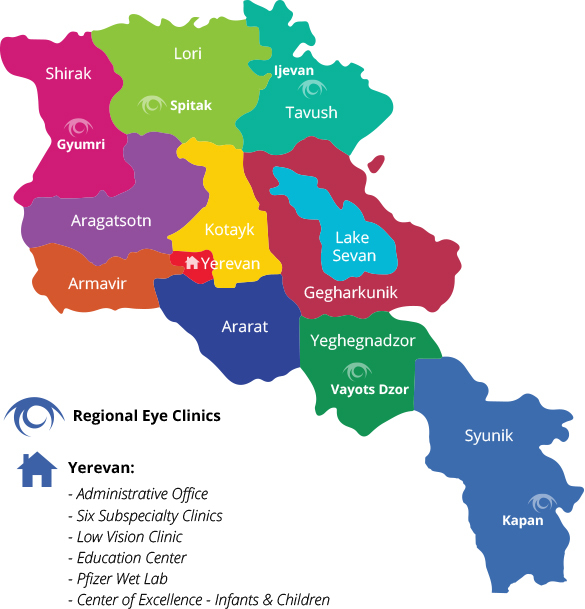 Founded soon after Armenia’s independence, the Armenian EyeCare Project has worked to make the eye care sector in Armenia self-sustainable for the past 25 years. Medical education and training has always been at the forefront of our mission — giving ophthalmologists and other medical personnel in the country the tools, resources and skills they need to diagnose and treat eye disease at the highest level. Our bi-annual Medical Missions make it possible for physicians, nurses and hospital staff in Armenia to be trained by some of the world’s leading experts in ophthalmology. Our Fellowship Program has given the unique opportunity for Armenia’s top ophthalmologists to travel to the U.S. to receive training in their specialty and return to Armenia to head Subspecialty Clinics in their field. And our Telesurgery Program allows physicians in Armenia to be connected in real-time with experts abroad for additional mentoring during surgery. “The best thing we have gained from the Project is confidence,” Dr. Alex Malayan, Armenia’s Chief Ophthalmologist and head of the Malayan Ophthalmological Center in Yerevan, said. Today, as we celebrate Armenia’s independence, the Armenian EyeCare Project would like to acknowledge all the dedicated ophthalmologists, nurses and other medical personnel in Armenia who have worked tirelessly to transform the eye care industry in the country into what it is today. We are so proud of the progress Armenia has made in this industry and are honored to be part of its success.